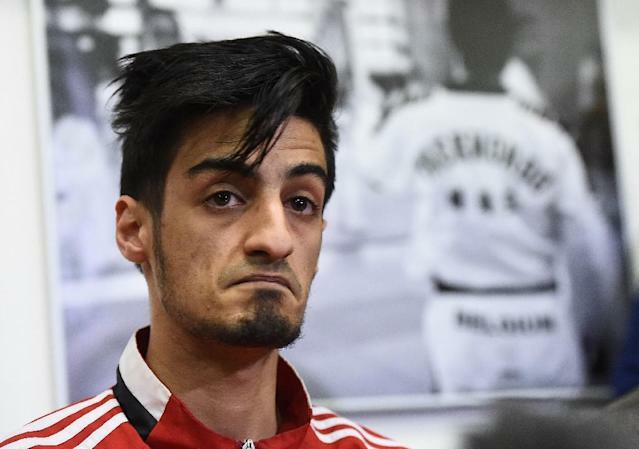 Montreux (Switzerland) (AFP) - Belgian Mourad Laachraoui, the younger brother of one of the Brussels airport bombers, has won gold at the European Taekwondo Championships and will compete in this summer's Olympics. Mourad Laachraoui, brother of Najim Laachraoui, beat Spaniard Jesus Tortosa 6-3 in the -54kg final in Montreux, Switzerland on Thursday night. A silver medallist at the Summer Universiades in 2015, the 21-year-old has qualified for the Rio Games in August. Two days after the Brussels attacks, Mourad Laachraoui said he had been "devastated" by what had happened. He said he not had contact with his older brother since the latter left for Syria in February 2013. "You don't choose your family," he told a press conference at the time, adding not to draw "any parallels" with his family who were trying to "turn the page". "I have no idea why my brother turned (to terrorism). We didn't see any change when he became radicalised," he said, explaining that his sporting career had distanced them over the years. "It's crazy, they were born into the same family, they received the same education and one turns everything white and the other black, even very, very black," Mourad Laachraoui's lawyer said after the attacks. "He's not responsible for the actions of his brother."